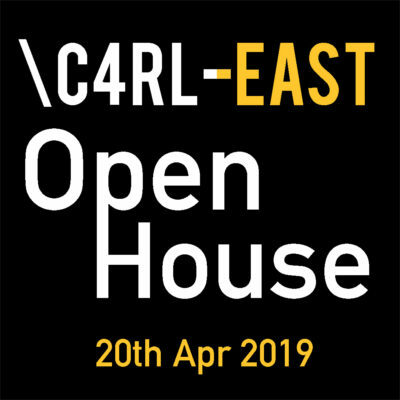 Nullspace Centre for Robotics Learning (C4RL) is having an Open House at our East Branch in Siglap on the 20th April 2019, 12pm to 6pm! Parents who are interested in robotics or coding and want to find out more? This is your chance! With fun filled robot and arduino game challenges, attractive discounts and informative talks, what are you waiting for? RSVP today! Mech Wars is a team based robotics game where participants have to use a remote control to direct their robots to score various objectives on the field. Settle your grudges on the battle field! Have you and your child always been fascinated with LEGO robots? There will be different LEGO Mindstorms robots like the Shooterbot, the Gyroboy (2 wheel self balancing robot), and a host of other cool robots for you to interact with! Check out our cool Arduino games and spirograph on display! Its addictive and you can even create some nice art to take home! Try out coding with scratch and understand more about the Arduino platform and creating your own projects at home! In this informal sharing, Mr Wee Soon Keong will share about the various free coding resources that parents can readily tap on to empower learning at home. He will also aim to demystify and debunk the misconceptions and hype around coding, and how we can all be better prepared for the future economy with technology on our side. As a veteran instructor at C4RL and Nullspace Robotics, Mr Alan Yong will share about the C4RL course curriculum design and all the information you will need to know to effectively plan for your child’s enrichment. He will also answer the common questions asked by parents about the course and there will be a short question and answer session at the end. To celebrate our Open House, we are offering three attractive discounts, valid at our EAST Centre during the June School Holidays (20 May – 30 June). By utilising all these discounts you can enjoy up to $150 off* our courses! Do not miss this incredible offer! For a full list of our class dates, visit our course page for Robotics Certificate Programme (LEGO Mindstorms EV3) and Inventor Certificate Programme (Arduino Microcontroller). New sign-ups who register and pay for courses at our Open House will enjoy $50* off! Simply key in “OPENHOUSE2019” when registering for C4RL-EAST courses using our online registration form and get $50* off! Sign up for any 2 courses during the June Holidays and enjoy $50* off the final price! *Terms and Conditions apply for all 3 discounts. Please refer to our T&Cs page to find out more.